Trigger warning: The following article may cause distress for some readers with past distressing experiences in water. Please exercise caution in reading this article and seek support if required. Today I watched a 5 year old boy almost drown in a waterhole. It scared me both as a parent, and as a swim instructor, because it so easily could have been prevented. Thankfully he was rescued just in time, although both he and his parents got a huge fright. In response, I was compelled to share the experience and my own swim safety knowledge with you in the hope it never happens to you or any child in your care. Please have a read, and share with anyone who cares for your children in or around water. Summer is a wonderful time to be around water. Many of us grow up knowing to swim between the red and yellow flags at the beach, but how can we be safe when swimming in a river? Rivers and creeks can sometimes be even more dangerous than beaches, making these tips so important to ensure a safe and fun experience for all. Always check the water before you step into a river or creek – whether you have never been before, or were there a week ago. Rivers and creeks are fast, slippery and ever-changing environments that should never be underestimated. Don’t just rely on where other people are swimming to decide your own safety. Stand together where you can get a good view of the waterway. Look for deep areas (dark water) and shallow, agreeing on safe places to enter and exit, as well as those that are not. Look for water flow and currents by throwing a leaf in and seeing if it moves, how fast and where. Remember deep rivers and creeks can also have undertows that aren’t visible from above. So always stay where you can stand upright, the water is rib height and your arms are free from obstruction. Parents should lead the way into the water, finding a safe place and path to water play first. Remember to walk across currents to prevent your feet from being knocked out from under you, and face upstream (where the water is coming from) to stay aware of any dangerous objects or changes in water coming towards you. If the bottom is not clearly visible across the width of the waterway, use a long stick ideally as tall as the shoulders of the shortest person, to check the depth in front of you before you step in. Then never go in water deeper than the top of that stick. If entering a waterway with a sandy or rocky base, enter one foot at a time, keeping your weight on your back foot and feeling around with your front foot, testing that the ground or rock is stable before you transfer your weight fully there. If it’s unstable or too slippery, choose another path or bend your knees and stay low to the ground to better centre your balance. Also try to keep your hand on a rock, branch or stick, in case you slip, to help keep you above water. ALWAYS have children within physical arms reach, following the message “Your Child, Your Focus”. When children are in the water they need your undivided attention because it only takes 20secs to drown and drowning is silent – as it was today. Social conversions, social media, texts and phone calls can wait until everyone is out of the water. NEVER drink alcohol when supervising children around water, or when you could have any alcohol in your system. Your reaction times are slower, as is your field of focus, and that can be the difference between prevention and survival for a child in the water. Remember your wet areas should always be dry zones. Swim Australia recommends a confident swimmer is someone who can swim 400m, non-stop and without a floatation device or aid. Never assume swimming lessons or age make someone safe. 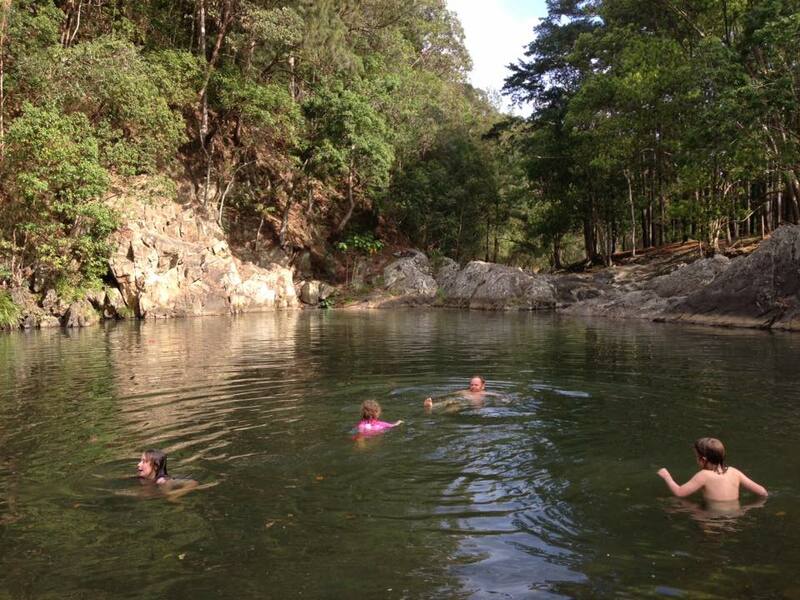 No one, including adults, should ever swim alone – especially in creeks and rivers. At times it may seem like a lot of effort to keep our children safe in the water, but we must also remember what it will take to deal with the alternative. Thankfully that didn’t happen today. 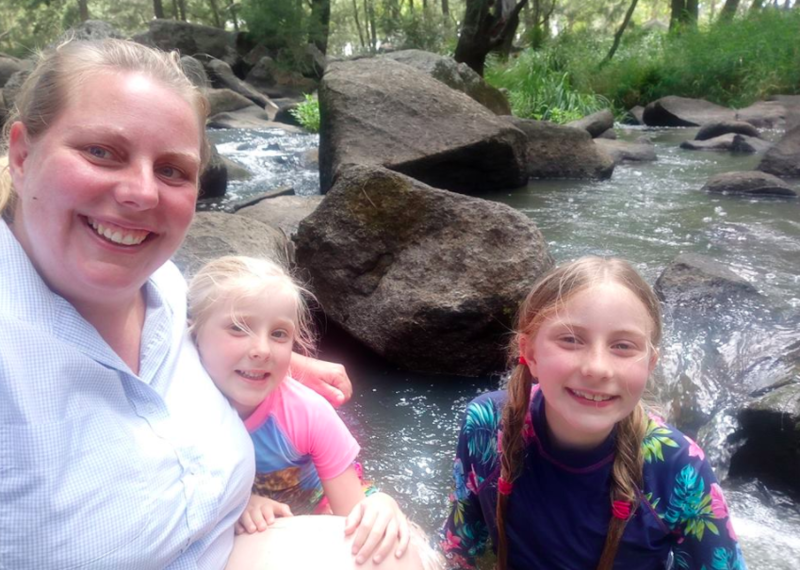 This article was written by Katie Jacobson, a bush playgroup facilitator, environmental scientist and fully accredited AustSwim Teacher, qualified in swimming and water safety instruction for children aged birth to adult.